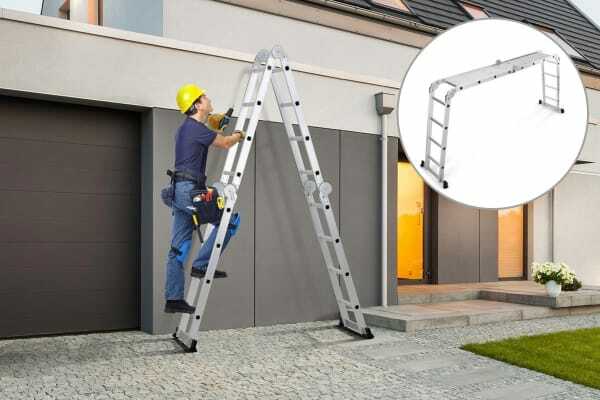 This multi-function ladder is super-lightweight and easy to assemble, with different configuration options for all those hard to reach areas. 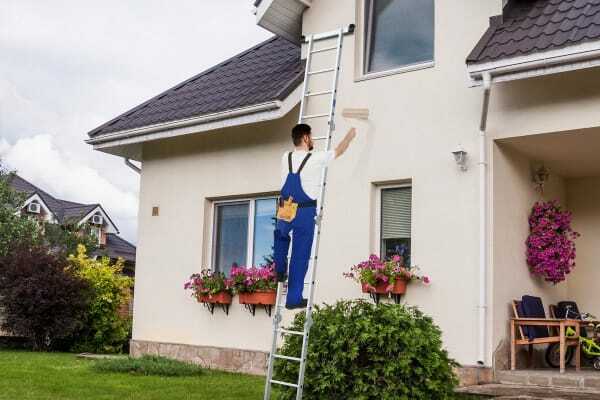 This versatile ladder is the only one you’ll ever need, whether you’re painting, clearing out the gutters or doing some backyard landscaping. 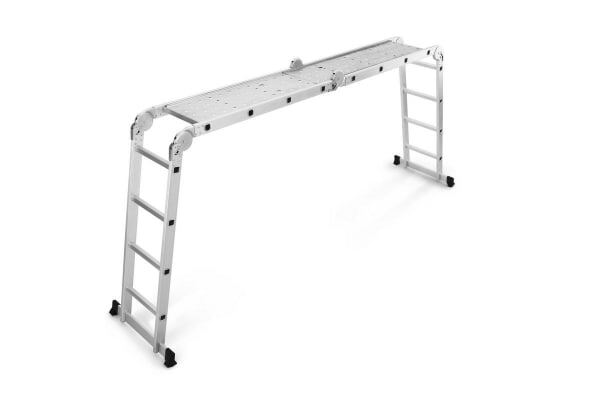 Despite having an extension length of 4.7 metres, the ladder is incredibly lightweight and folds down to an impressive 1.28 metres for easy storage and transportation. 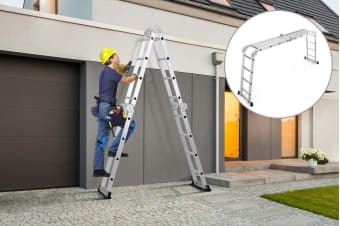 The Certa 4.7m Multipurpose Aluminium Foldable Ladder includes two standing platforms, one long and one short, for even greater versatility and safety during your DIY projects, especially painting and scaffolding.